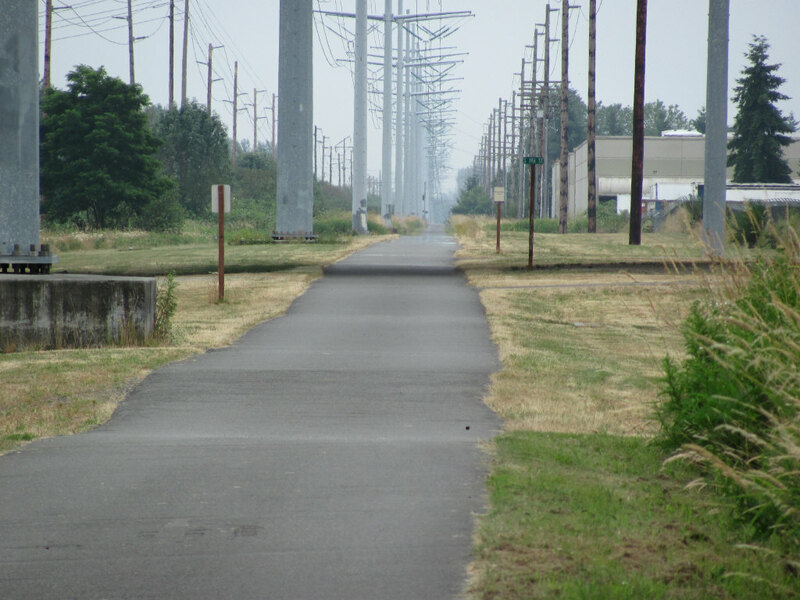 Power lines march out into a blur along Interurban Trail south of Seattle. Peaceful ride away from the traffic. Last part of today was spent on Foothills Trail east of Puyallup. Heading toward Mount Rainier next.